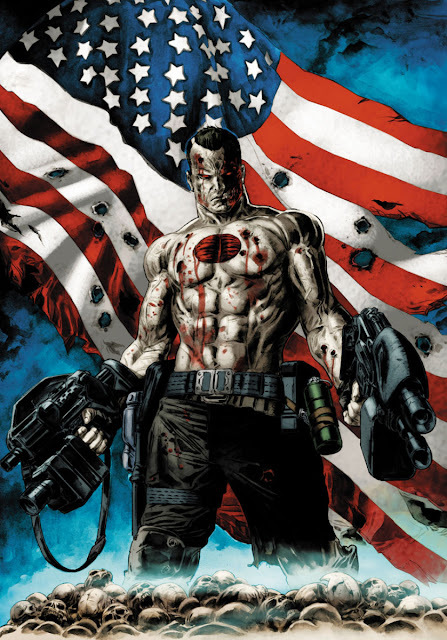 BLOODSHOT U.S.A. #1 In Bloodshot we trust! Project Rising Spirit has achieved a breakthrough: a contagious, airborne nanite dispersion prototype that can turn the population of any city into an army of indestructible soldiers. A doomsday virus capable of destroying an enemy nation from the inside out, with the same cutting-edge technology that created their greatest weapon: Bloodshot. 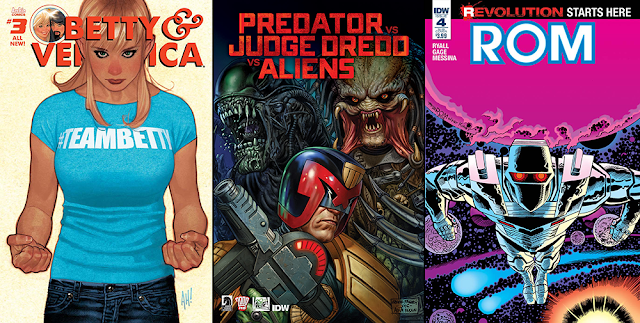 CREATOR SPOTLIGHT BETTY & VERONICA #3 (W & A) Adam Hughes. All Heck breaks loose in Riverdale as "Betty Versus Veronica" reaches its combustible conclusion! Divided by Pops' Chocklit Shoppe being bought out by Big Coffee, the forces of Team Betty and Team Veronica clash at the Halloween dance. Who will lose? Will there be sniffling? The streets of Riverdale run red and no one will ever be the same (slight use of hyperbole there)!